Tá blitz Tag Rugbaí ag Rang 1 agus Rang 2 amárach, Déardaoin, an 30ú Bealtaine 2013 sa pháirc rugbaí. Beidh na páistí ag taisteal ar mbus, mar sin beidh costas €2 an pháiste air, le bhur dtola. 1st and 2nd class have a rugby blitz tomorrow, Thursday, May 30th 2013 at the rugby club. The children will be travelling by bus so there will be a cost of €2 per child, please. Chomhghairdeas a pháistí ó gach duine sa scoil ! The school website needs your help! Dé hAoine, an 14ú Meitheamh 2013: Toisc nach bhfuil aon seomraí breise againn chun spás a thabhairt do Naíonáin 2013/'14 (!!!!) tá sé de nós againn rang na Naíonáin Bheaga a fhágaint sa bhaile an lá san. Mar sin tá lá saor ag na naíonáin an lá san ach gnáth lá scoile ag gach rang eile. 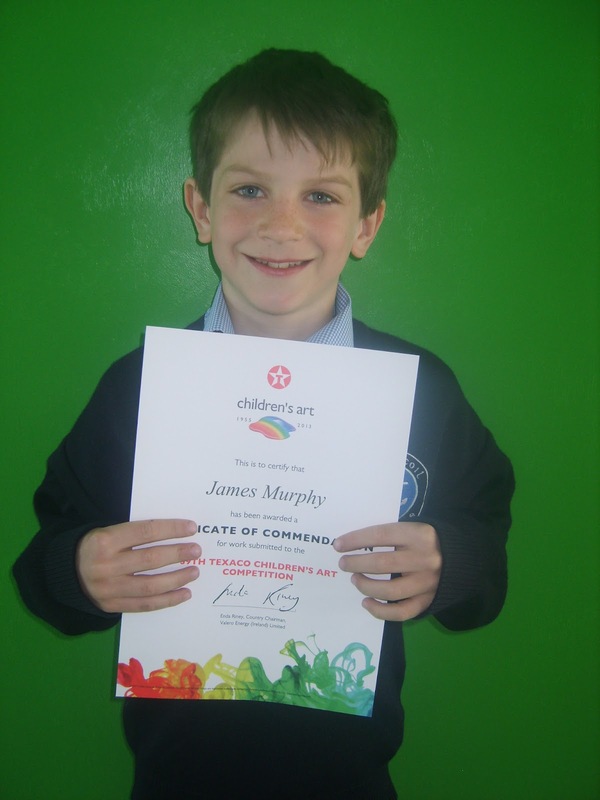 Friday, 14th June 2013: As we have no spare class rooms to allow space for the 2013/'14 Junior Infants(!!!!) we normally leave the Junior Infants at home that day. Therefore Junior Infants have a day off that day but it is a normal school day for every other class. Trocaire is deeply grateful to the people of Kinsale for their generous donations during Lent. A total of €4,164 was raised. The children of the schools made a significant contribution to this amount. A very sincere 'thank you' to all the parents of Rang 1 who volunteered to help with the First Holy Communion Party at the school for Rang 2 last Saturday, 18th May 2013. Many thanks to everybody who gave up their time to make/bake food, set up the rooms the evening before, volunteered on the day to host the party, the clean up afterwards – thank you for the huge effort you all put in. Thank you for giving us a very enjoyable and lovely start to our special day –the children were delighted with their goodie bag, the cuppa tea/coffee and gorgeous treats were well and truly appreciated by everyone – with all the activity that morning at home, I've no doubt it was a very welcome breakfast for most parents!!!! Thank you so much also to all the Muinteoir's for preparing the children for their Communion Day – The Mass itself was just gorgeous - the atmosphere in the church so amazing. Thank you for the huge effort you put in – 'above and beyond the call of duty'. FOR AND ON BEHALF OF ALL THE PARENTS AND CHILDREN OF RANG 2. Roimh deireadh an scoilbhliain, an féidir libh gutháin sothghluaiste úsáidthe I bhur dtithe a thógaint isteach chuig na scoile le bhur dtola. Tá scéim gutháin sothghluaiste fós ar siúl ag Irish Autism Action agus dúiseanna éagsúla ar fáil acu. Go raibh maith agaibh as ucht bhur gcomhoibriú. Before the end of the school year could you please check for any old mobile phones you may have lurking around your homes. Irish Autism Action are still running a collection scheme for old mobile phones where we can avail of various prizes. Tá aischothú ag teacht thar nais faoin socrú nua pairceála sa chlós, de bharr nach bhfuil seans ag na páistí súgradh le liathróidí. Cuirim i gcuimhne daoibh go bhfuil cead acu imirt sa ghort taobh thiar den scoil. Is dóigh liom go dtugann sé seans iontach dos na naí-ranganna súgradh leis na cluichí atá péinteálta ar an gclós nuair nach bhfuil cluichí peile ar siúl ag na páistí níos mó. Nílimid ach ag baint triall as seo pé scéal é ar feadh tamall le feiscint an bhfeabhasaíonn cúrsaí pairceála lasmuigh. Caithfimid cuimhneamh air go mbeidh suas le 20 gluaisteáin breise ag freastal ar an scoil an Meán Fómhair seo shugainn. Táimíd ag iarraidh a bheith ullamh! Cuirfear deireadh leis áfach muna bhfuil dea-eifeacht aige ar an bpairceáil daoibh. 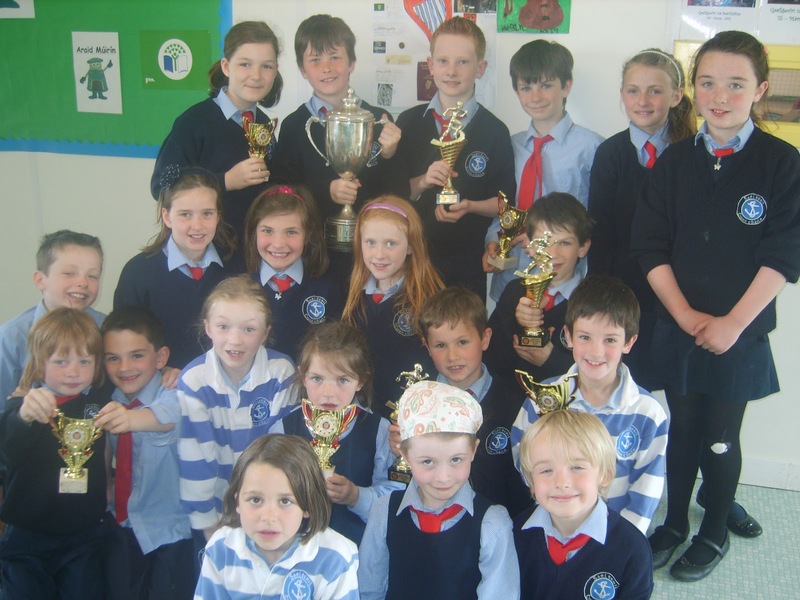 Af féachaint ar cúntaisí na scoile tá roinnt mhaith tuismitheoirí nár íoc fós as leabhair scoile 2012/13 agus snámh srl 2011/'12. Impím oraibh dul i dteangbháil le Hilda le feiscint an bhfuil sibh suas chun dáta. Ní bheidh an scoil ag ceannach na leabhair as seo amach ach amháin dos na Naíonáin Shíóisearacha. Chun cabhrú libh áfach tiocfaidh díoltóirí leabhair, Liam Ruiséal, chuig an scoil ag díol leabhair. Iarrfaimíd orthu cinn dara láimhe a thabhairt aníos chomh maith más féidir. Déardaoin an 13ú Meitheamh 2013 idir 5 - 7 is ea an dáta a bheidh siad sa scoil gur féidir libh leabhair na bliana seo chugainn a ceannach. Tá cúpla gearáin ag teacht isteach chomh maith faoi na turasanna scoile. 1-4 ach go háirithe. Tuigim go huile is go hiomlán an buairt atá ar tuismitheoirí maidir leis an gcostas. Sin an cúis gur thugamar tréimhse 6 seachtaine daoibh chun íoc astu píosa ar phíosa. Tá siad daor. Níl aon argóint faoi sin ach leis an easpa laethanta a bhí fágtha ag na hionaid éagsúla is léir go bhfuil an-tóir orthu ó scoileanna eile chomh maith mar sin is fadhb í i ngach scoil. Ní féidir linn an turas céanna a dhéanamh gach bliain mar sin tabharfaimíd faoi ceann níos saoire an bhliain seo chugainn le cúnamh Dé. Mar fhocal scoir - Go raibh maith agaibh mór leis na tuistí atá ag tabhairt suas a h-am is a fuinneamh ar son páistí an Chéad Comaoineach. Is mór linn an obair seo agus cuireann ocáidí mar seo go mór le hatmasféir agus spioraid na scoile. Go raibh míle maith agaibh ó chroí! We are getting feedback on the new parking arrangement because of the children not being able to play with balls. I want to remind you that they are allowed to play in the field behind the school. On the upside many schools have a no balls policy and do not have the benefit of a playing field at their disposal I suppose it gives the infant classes a great chance to play with the games that are painted on the yard when there is no football game being played there by the bigger children. We are only trying out this arrangement for a while anyway to see if the parking situation improves outside. We have to remember that there will be up to 20- extra cars going to the school next September. We are trying to prepare for the onslaught! It will be stopped, however, if it does not have a good effect on the parking for you. Looking at the school accounts, there are still parents who have not yet paid for 2012/13 school books and swimming etc. for 2011/12. I request you get in contact with Hilda to see if you are up to date. The school will not be buying the books from now on except those for the Junior Infants. In order to help you, however, booksellers, Liam Ruiséal, will come to the school selling books. We will ask them to bring second hand books also, if possible. Thursday 13th June 2013 between 5 - 7pm is when they will be at the school for you to buy next year's school books. There are a couple of complaints coming in also about the school tours. 1-4th classes, especially. I completely understand how parents are upset about the cost. That is the reason that we gave the 6 week time period for you to pay in installments. They are expensive. There is no argument about that but with the lack of days that the various companies had left it was obvious that they they were very popular amongst other schools also so it must be a problem in every school. We can't do the same outing every year so we will find a cheaper one next year, hopefully. The installments should be paid directly to the class teacher, not Hilda as previously stated. Finally - A big thanks to the parents who are giving up their free time and energy to the First Holy Communion children. We very much appreciate this work as these events add greatly to the atmosphere and spirit of the school. A heartfelt thanks to you! Thank you to everyone who has offered to help at the Communion party. Can those who have offered to bake / make sandwiches please drop them to the school from 11am on Saturday morning. The people who have offered to help with set up will you please meet at the scoil at 6pm on Friday evening. The Communion Party will begin at approx. 12.30 so those helping on the day please be at the scoil from 12.00. Chomhghairdeas mór le James a fuair ard-mholadh sa chomortas Texaco! A big Congratulations to James who was awarded a Certificate of Commendation in the Texaco Art Competition! Níl ach triúr tar éis a rá gur féidir leo cabhrú an Sathairn seo le féasta sa scoil an Chead Comaoineach. Beidh i bhfad níos mó na sin ag teastáil chun é a cur ar siúl. Taim ag lorg cabhair tuistí Rang 1 mar beidh sibhse ag lorg an tacaíocht seo an bhliain seo chugainn nuair a bheidh do pháiste ag ceiliúradh a C(h)éad Comaoineach! Seans nach raibh sé ar eolas agaibh go mbíonn sé de nós ag tuistí Rang 1 an féasta a threoiriú gach bliain. Mar sin téir i dteangbháil le Choiste na dTuistí nó le Hilda chun do chabhair a chlárú don bhféasta. An-lá a bhíonn ann agus ní leanann sé ró-fhada. Only three parents have volunteered to help with the party in the school on Saturday for the children's First Holy Communion. We will need alot more volunteers than that for it to go ahead. I am asking for the help of the 1st class parents as you will be benefitting from this help next year when it is your children's First Holy Communion! Perhaps you weren't aware that it is the parents of 1st class children that host/ run the party every year. So please get in touch with the Parent's Association or Hilda in the office to let them know if you're available to volunteer. It's a very special occasion for all involved and your help is very much appreciated to make it a wonderful day every year for the children. It doesn't run on too long either as everyone has their own commitments on the day. Chun deileál leis an bhfadhb pairceála lasmuigh tá sé ar intinn ag na múinteoirí triall a bhaint as pairceáil sa chlós chun níos mó spáis a bheith agaibh. Feicimíd conas mar a oibríonn sé ar feadh tamall pé scéal é. Ní bheidh cead ag na páistí imirt le liathróidí sa chlós sin nuair atá na gluaisteáin ann. Táimid ag obair faoi láithir ar straitéis chun deileál le bullaíocht sa scoil. Tá bullaíocht go mór sna meáin cumarsáide faoi láithir agus tá sé ar intinn agam teacht ar straitéis cinnte, dearfach agus suntasach a thiocfaidh i bhfeidhm nuair / má thagann bullaíocht chun tsolais sa scoil. Níl an sórt sin iompar nó meoin ag teastáil sa scoil ar corr ar bith agus beidh mé ag lorg tacaíocht na dtuismitheoirí.Ní theastaíonn ó aon tuismitheoir go ndéanfar tromaíocht ar a bpáistí nó go mbeidh a bpáistí páirteach ins an sórt sin iompar. Tá sé deacair ar pháistí uaireannta an rud ceart a dhéanamh mar sin is gá dúinn mar oideachasóirí an rud ceart a thaispeáint agus a mhúineadh dóibh. Is gá dóibh a bheith consiasach ar thorthaí a gníomhartha. Gur féidir dea-thoradh agus droch-thoradh a bheith acu ag braith ar a n-iompar. Sa bhunscoil tá sé níos fusa greim a fháil ar seo ná sa mheánscoil nuair a bheidh fachtóirí eile ag cur isteach orthu. Más féidir linn deileál leis tré na páistí a mhúineadh i gceart sa bhunscoil tá seans go mbeidís in ann a lán trioblóid a sheachaint sa mheánscoil. Is ar son ár bpáistí ar fad atáimid ag obair anseo. Beidh sé á phlé ag cruinniú coiste na dtuistí anocht. Bheinn ag moladh do thuismitheoirí freastal ar an gcruinniú san má theastaíonn uatha a bheith páirteach sa phroiséas a chumfaidh polasaí láidir frith-bhullaíochta nua. Teastaíonn uaim teachtaireacht láidir a cur amach nach nglacfar le haon cineál bullaíochta sa scoil agus go n-aithnímid gur fhadhb an-dáiríre í an bhullaíocht. Idir an dá linn ba mhaith liom dá léifeadh gach tuismitheoir an cód dea-iompar atá againn sa scoil. Tá sé ar fáil ar an suíomh-cliceáil "eolas" agus ansan ar "cód dea-iompar" chun é a léamh. Tá córas na gcártaí bána sa scoil faoi láithir agus tháinig sé chun tsolais le déanaí nach raibh gach tuismitheoir ar an eolas faoi. To deal with the parking problem outside the teachers are are going to try out parking in the yard to leave more parking space for you. We will see how it works out for a while anyway. The children will not be allowed to play with balls when the cars are parked in the yard. On fine days they may play in the back pitch but with limited supervision. We are working on a strategy at the moment to deal with bullying in the school. Bullying is very much in the media at present and I am planning on arriving at a positive, definite and effective strategy that will be implemented when / if bullying comes to light in the school. This bullying attitude or behaviour is not at all welcome in the school and if/when it starts I will be looking for the support of all parents to deal with it effectively. No parent wants their child to be bullied or for their child to be involved in bullying behaviour. It is sometimes difficult for children to know what the right thing to do is or how to treat others. It is our job as educators to try to teach them to do the right thing. They need to be made aware of the consequences of their actions. They need to know that their actions / behaviour can have a negative or a positive result and then can make a conscious decision on how to behave. It is easier to take control of behaviour in primary school than in secondary school where there are many more influencing factors. If we can tackle the problem of bullying properly in Primary School - by educating the children - they may be able to avoid major and sometimes life altering problems in Secondary School. It is for all the children's benefits we are working here. This will be discussed at this evening's Parents Association meeting so I would recommend as many people as possible go to the meeting if they wish to be part of the process that will bring about a new and strong anti-bullying policy. I wish to send out a strong and clear message that bullying is a problem we will regard very seriously and will not be tolerated in any way, shape or form. In the meantime I would like every parent to read online the Good Behaviour Policy that we have at present. To find it click "Eolas", "Polasaithe na Scoile / School Policies" and then "Cód dea-iompar"
The white card policy is in the school at present and it came to light recently that every parent was not aware of it. Mar a phléadh le déanaí, tá an deighilt socraithe againn. As discussed recently, we have organised the split for next year's 2nd class. Le dream Múinteoir Eavan faoi láithir beidh..
With Múinteoir Eavan's present group will be..
Tá gach iarracht déanta againn go n-oirfidh na páistí sna grúpaí éagsúla dá chéile agus don rang lena bhfuil siad ag roinnt. Níl na múinteoirí socraithe fós ach cuirfear ar an eolas sibh comh luaithe is atá sé déanta. We are still looking for volunteers to help on the morning and offers to bake / make sandwiches for the Communion Party. The party is on this Saturday the 18th of May 2013. Can you please text Alison (Evan’s Mum) 0872358624 or Mary (Oisin’s Mum) 0877476055, ASAP just to let us know your availability on the morning of the Communion or the night before to set up. Also if you could let us know at this time if it is a sweet or savoury you will be making just so we have a good balance of both. Cuireadh ar an eolas mé go raibh cás míoltóga ghruaige sa rang Naíonáin Shóisearacha. Scrúdaigh gruaig do pháiste anocht agus cuir an leigheas cuí air más gá. Go raibh míle maith agaibh! I have been informed of a case of head lice in the Junior Infants class. Please check your child's hair tonight and treat it if necessary. Thanking you all in advance! Tá foirm ag dul abhaile sna málaí scoile inniu. Líon isteach agus seol ar iad roimh an Aoine le bhur dtola. There is a form going home in the school bags today. Please fill it in and send back before Friday. Comhghairdeas leis an bhfoireann iománaíochta a bhuaigh i gcluiche cheannais iománaíochta le Summercove. Ba mhaith linn ár mbuíochas a ghabháil chuig Eithne, Ann Marie agus Enda a bhí ag traenáil na leanaí i rith na bliana. 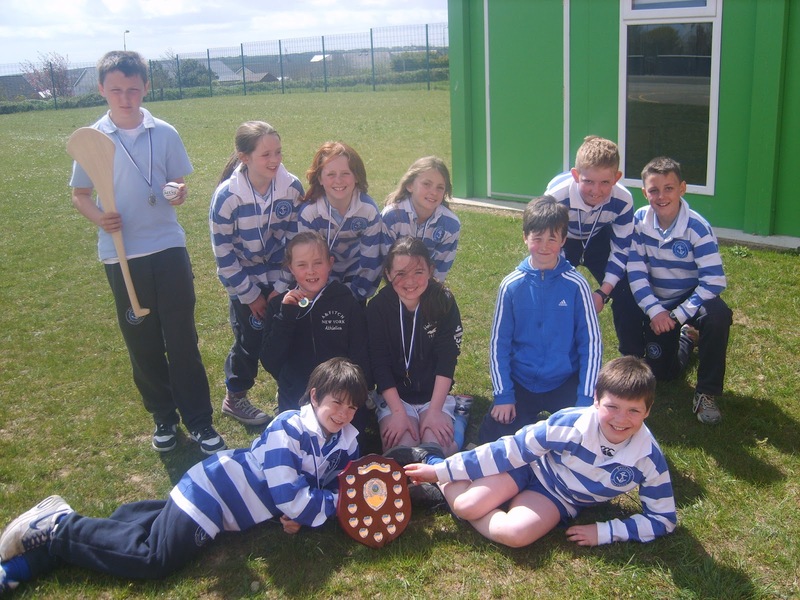 Congratulations to the team that won the hurling final along with Summercove N.S.. We would like to thank Eithne, Ann Marie and Enda who were training the children during the year.